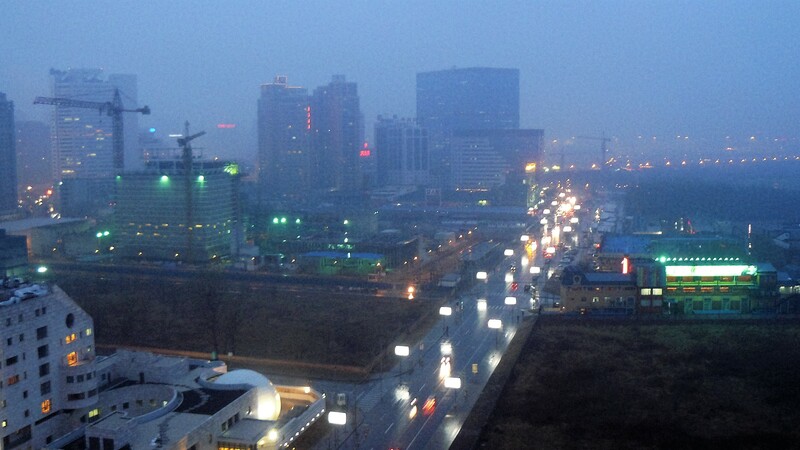 March 5, 2007 – Today marks the beginning of my second week in Beijing. One interesting observation over the past seven days is the weather here in Beijing. When I arrived here on Monday, Feb 26, it was a very hazy and cloudy day. Temperature was hovering around 6 degree Celsius, and there was no skyline from my apartment at the 18th floor. The whole feeling was basically gloomy. On Tuesday, the weather changed slightly. The sky remains cloudy, though less hazy. The temperature was around 5 or 6 degree, but it was neither windy nor sunny. On Wednesday, things got much better. The sun came out, but there was still the haze (probably due to the excessive firework over the week), and temperature went up to around 13 degree Celsius. On Thursday, the rain came pouring. It was more like drizzle, which continued for the entire day and evening. Temperature dropped again to below 8 degree Celsius. On Friday, the rain was cleared, the cloud was gone as well. Another clear day again. The haze is also not serious, but the sky remained slightly grayish. Saturday morning, the rain was pouring again. Compared to Thursday, it was much heavier that day, and umbrella was required outdoor. My family came in that day, and they experienced the wet weather on their first day here. According to my brother-in-law, who’s a pilot with a world-class airline, the visibility for that day was only about 100 feet when he was landing in Beijing that afternoon. That night, or rather, at 1am Sunday morning, sleets started to fill the city. 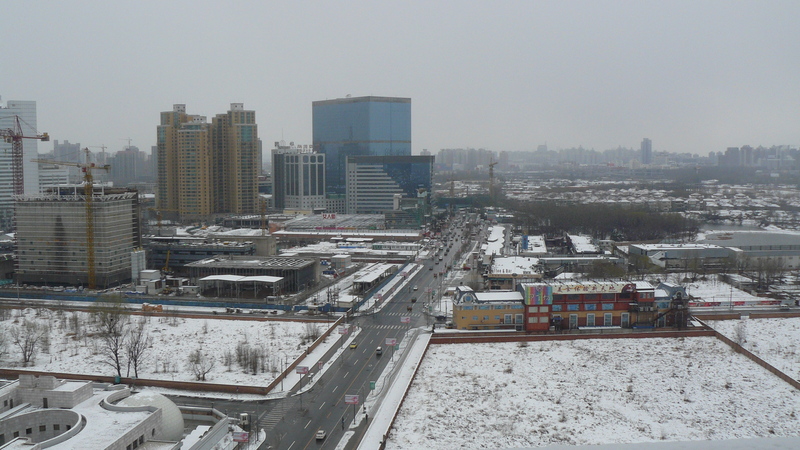 By 6am, the entire city was covered with snow. The weather on Sunday was beautiful, even though it was vey cold, at -4 degree celsius. The sky was clear and blue. On Monday, the sky became even brighter and clearer, but it was windy. If we plot a graph of the temperature and weather changes over the week, we can see no trend or predictability of what’s really coming ahead just based on each day and its prior days’ weather. As I’ve said in other occasions, we can’t really tell tomorrow’s weather from today’s. Last week was an interesting depiction of this claim. However, the people in Beijing were rather used to the frequent and drastic changes. They seemed prepared. Reading the weather report (not just forecast) is now a daily task to be as fully situation-aware as possible, so that I can really respond well to the changes, starting from the weather. « Is ISMS relevant to SME and Non-Profit Organizations?